The Premier Center was founded by Dr. Sabah Hadi. 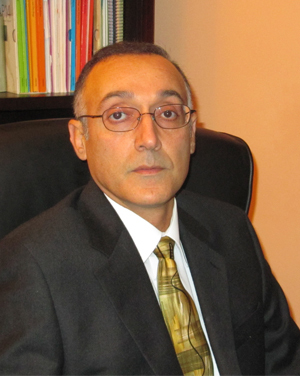 Dr. Hadi leads the center with his unique experience and mastery of the science of psychiatry. Dr. Hadi has been a practicing psychiatrist for nearly 10 years. He received his training in residence at the Chicago Medical School’s University of Health Sciences where he completed the program in 1997. He completed his training in Adult Psychiatry and then pursued a fellowship in Child and Adolescent Psychiatry at Baylor School of Medicine in Houston, TX. After Dr. Hadi finished his training, he moved to Northern Virginia. He worked in private and group practice where he obtained diverse experience. He attained the titles of Medical Director of the Methadone Treatment Program, Medical Director of a Residential Treatment Center and lead Psychiatrist at the Jefferson School. Dr. Hadi has also served as consultant to the federal Social Security Administration, assessing eligibility requirements for those applying for Social Security Disability programs. Dr. Hadi also performed as an advisor and consultant to the Substance Abuse Mental Health Administration in Maryland. The doctor is board certified and licensed to practice medicine in Virginia, Maryland and Pennsylvania. Dr. Hadi has the distinction of being named the Lead Psychiatrist in Loudoun County by the Washingtonian Magazine. Dr. Had is highly respected in the field of psychiatry and specializes in childhood and adolescent disorders. Dr. Hadi has been in clinical practice for over 9 years. He completed his Psychiatry Residency Training at The Chicago Medical School/ University of Health Sciences, Chicago, Illinois in 1997. After completing his Adult Psychiatry, Dr. Hadi decided to pursue a fellowship in Child and Adolescent Psychiatry at Baylor College of medicine, a well known and distinguished program in Houston, Texas. After finishing his training, Dr. Hadi relocated to Northern Virginia and has had wide range of rich and extensive clinical experience including: working in private/group practices, Medical Director of Methadone Treatment Program, Medical Director of RTC (Residential Treatment Center) in Leesburg Virginia as well as a lead Psychiatrist at the Jefferson School in Jefferson, Maryland, and Fairfax county Community Service Board. Dr. Hadi served as a consultant and clinical team leader to Social Security Disability at the Federal level, to re-evaluate and assess disability eligibility decisions. Dr. Hadi served as Advisor and clinical consultant to SAMSHA (Substance Abuse Mental Health Administration in Rockville, Maryland. Dr. Hadi is trained and certified to prescribe Suboxone as well as extensive hand on experience treating clients with Substance abuse disorders.